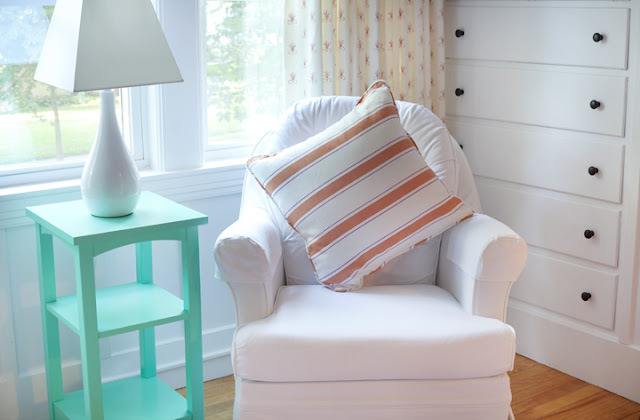 You can take one look at this nursery and you can tell that this room had to have been inspired. Gretchen is the founder and editor-in-chief of Fashion + Decor. This site takes the latest fashion on the runways and matches them with home decor. 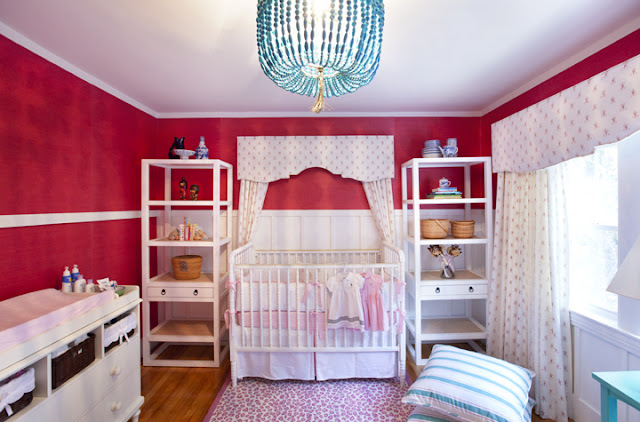 This fashion inspired girl’s nursery is bold just like any new fashion line would be on the runway. With the bright walls the other decor in the room is subtle. The white chair and lamp are paired with pops of color using the side table and pillow. The crib is fit for a princess with the matching bed crown. 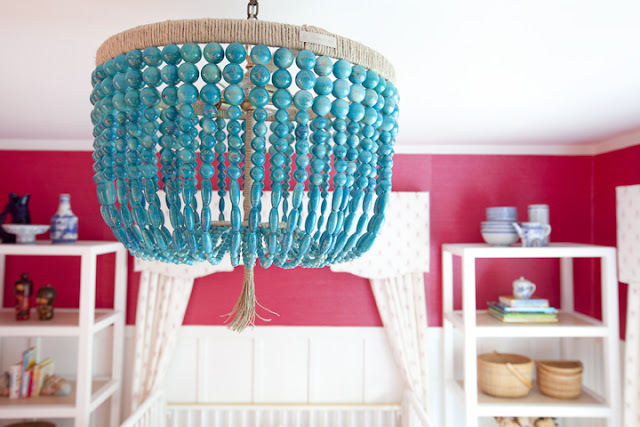 Here is another brilliant pop of color with the turquoise beaded chandelier. What a fun use of different colors and patterns. Much like what you would see on the fashion runway these days. Be sure to check out more home decor ideas on Fashion + Decor. There are so many unique ideas that can really make a statement. 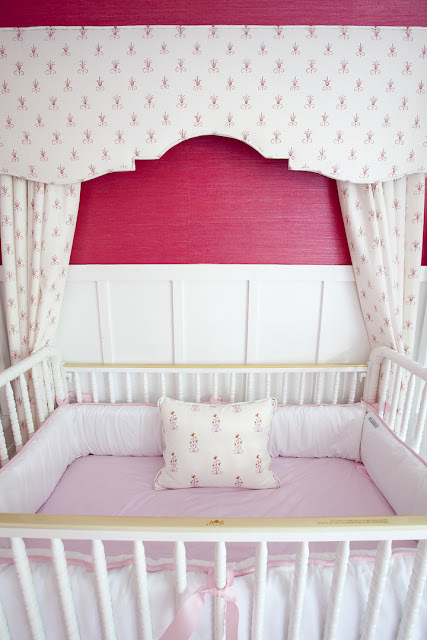 Thank you Gretchen for sharing this fabulous baby girl’s nursery with Design Dazzle!